A stone circle atop a hill on the base in Colorado Springs will likely be dedicated in a ceremony March 10, according to the release, and be available to cadets and other service members who live in the area. The base already has worship spaces for Protestants, Catholics, Muslims and Buddhist, the release said. Brown and his family attend New England Chapel in Franklin, Mass., part of the Christian Reformed Church in North America, which has roots in the Protestant Reformation. 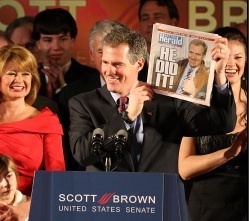 And although Brown opposes partial-birth abortion and supports parental notification before a minor can receive an abortion, he believes the decision on abortion “should ultimately be made by the woman in consultation with her doctor,” according to his campaign Web site. Catholicism Influenced by Paganism … Or Not? The nineteenth century witnessed a flowering of this “pagan influence fallacy.” Publications such as The Two Babylons by Alexander Hislop (the classic English text charging the Catholic Church with paganism) paved the way for generations of antagonism towards the Church. During this time, entire new sects were created (Seventh-Day Adventists, Mormons, Jehovah’s Witnesses)—all considering traditional Catholicism and Protestantism as polluted by paganism. This era also saw atheistic “freethinkers” such as Robert Ingersoll writing books attacking Christianity and Judaism as pagan. 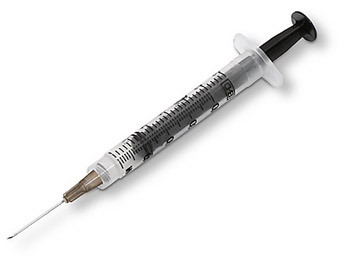 An $83,000 custom van will be stocked with syringes and other medical supplies intended to reduce the risk of infection spread by sharing contaminated needles and unsanitary injection methods. The van will be parked in the city’s South End and Arbor Hill neighborhoods, closest to where police believe injection drug use is most prevalent. Project Safe Point is based on 17 similar needle exchange programs in cities across the state, including Binghamton, Ithaca, Rochester, Buffalo and New York City. It will be a first for the Capital Region and is believed to be the only one of its kind in the nation sponsored by Catholic Charities. The NFL is demanding that all colors, marks, symbols, signs, and songs that have any reference to “saints” or the colors associated with the team must be removed from the property of all Catholic Churches in New Orelans. So far, the list includes: the color gold, the fleur de lis, the color black, the color white, as well as any songs and prayers that use the words “Saints”, “New” or “Orleans”. It started out a tough morning, with many people refusing to stop or roll down their car windows. Roger spoke with a Hispanic couple in their early 20s. The couple had a one-and-a-half-year-old child, who was not with them at the time. When asked, the woman said she was there for an abortion because of many reasons, financial being one of them. Roger told them about Culture of Life Family Services and that they could get pre-natal care for free if money was an issue. After relating that the new baby would be as dear to her as her other child and that each baby is a unique person, they seemed to soften. They said they would talk about it, and seemed to be leaning toward leaving. They parked, but after about 15 minutes they were seen going into the mill. We prayed that they would change their minds and come out, which often happens once you have planted the seeds of doubt. We kept an eye out for them, but after about 10 minutes it became busy at the front entrance as another wave of cars came in, and we lost track of whether or not they stayed.